How much should you charge? Is your current pricing strategy going to drive you out of business? Believe it or not, price is an issue that trips up even well-established businesses. Companies who enter the federal market soon learn that the government doesn't buy the way your average customer buys. So, while you need a pricing strategy that will keep you profitable, the pricing strategy you use for commercial contracts may actually end up LOSING MONEY when you try to use it to do business with the government. So, it's important for you to understand how to create a pricing strategy that will enable you to draft agreements that truly are mutually beneficial. Each project you take is best-suited for a particular pricing strategy. 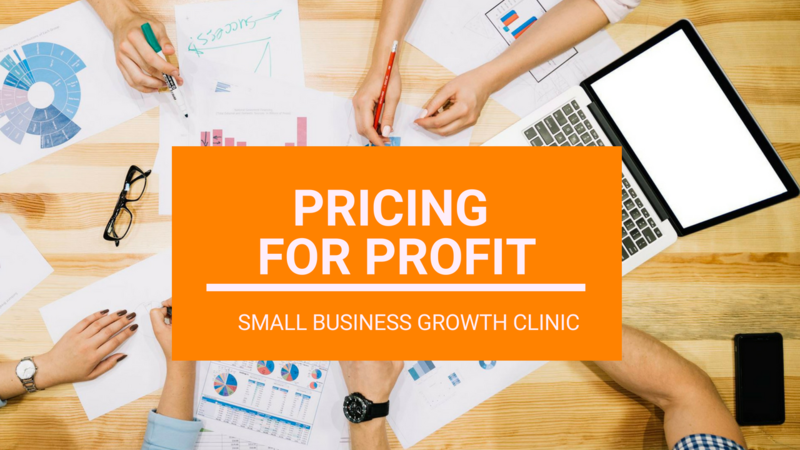 In this clinic, you will learn how to determine which pricing model to use. This training will walk you through steps you need to take in order to develop and incorporate a solid pricing strategy in your proposal. It will help you identify the direct and indirect costs associated with selling your product or service. We strongly suggest you take Creating a Performance Work Statement BEFORE enrolling in this clinic to ensure maximum participation. The key to pricing is a well-crafted work statement. Keep an eye on your inbox to find out when the next Pricing Strategy Clinic will be.